Our first (hopefully) annual Trunk or Treat for Halloween was a huge success. 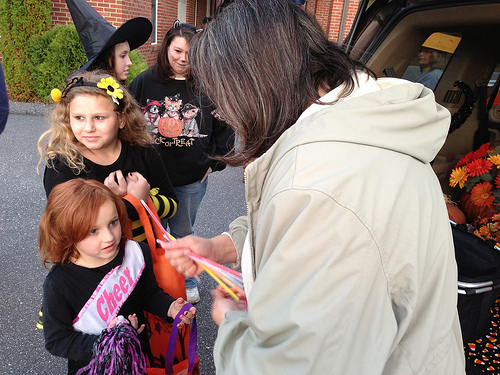 We gave out a ton of candy to a bunch of kids. We lost count but objective standards show that we had more than 150 and maybe as many as 200 kids. With parents we definitely hit the 200 mark. Add our own people and that’s nearly 250-275 people at our church on Halloween night. Here’s a video of the night. Here’s a few photos of the night to enjoy.